EBL on tour is a campaign by Liestal, Swiss-based energy and telecommunication cooperative EBL Elektra Baselland. 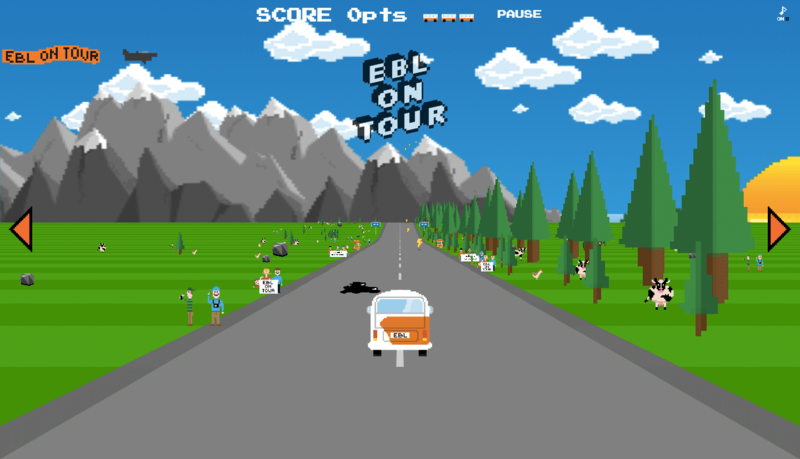 The game is provided for free directly within the website on www.ebl-on-tour.ch. The game in 8-bit pixel aesthetics is compatible latest browsers such as Chrome, Firefox and Safari, on notebooks, desktops, smartphones and tablets. Players navigate a minibus to the beach. On the way there, obstacles try to slow the player down. 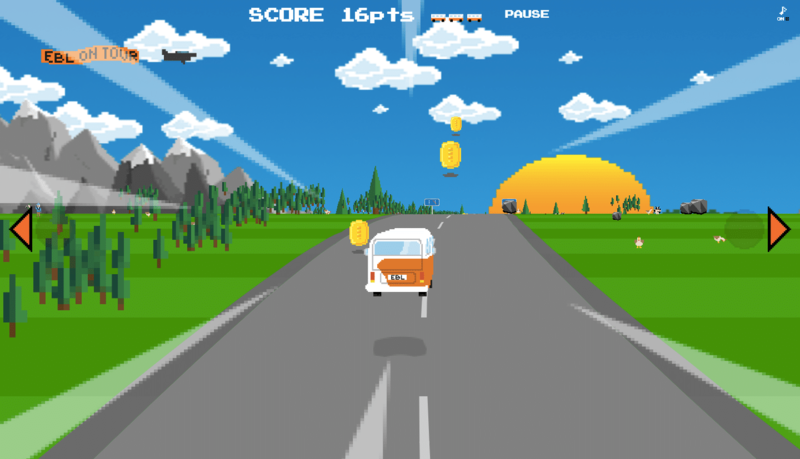 However, with the help of high-speed power-ups such as street bumps, surfboards and rainbows, players can jump into the air, accelerate and double the pickup scores. Gbanga Millform developed the HTML5 game as part of the EBL On Tour campaign. The project lead, visual concept, the 8-bit pixel design and sound composition was done by creative ad agency eyeloveyou GmbH, Basel. 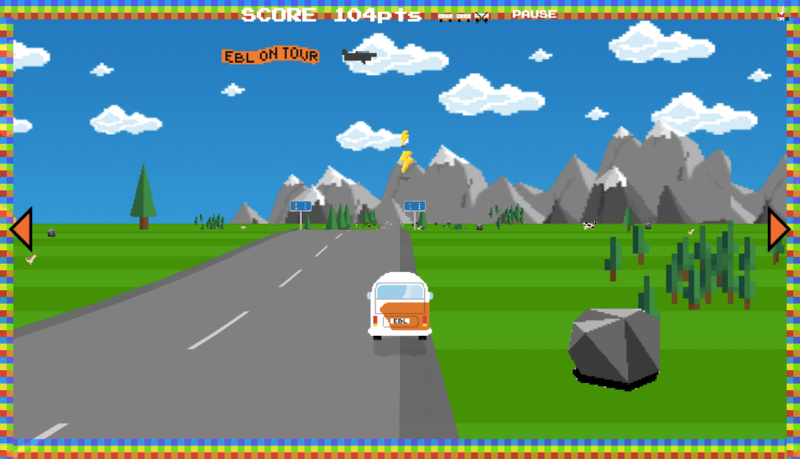 The web-based game was available on the ebl.ch website. Now you can play it on this page.